It’s important to us that the homeowners we work with have a great experience with us. 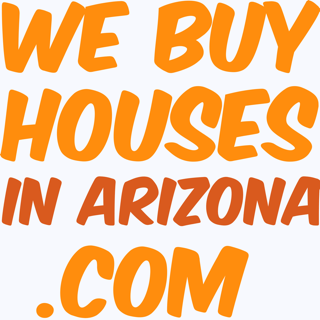 We Buy Houses In Arizona wants every seller to have the best and easiest selling experience. We’re only happy when you are! With that said, here are some quotes from actual sellers explaining their experiences. The pictures are the actual properties we helped the owners with! Want to share your own experience with is? Let us know on our Seller Survey! My son lived in the house since 1998, I live in San Diego. Son bought a new house and I needed to sell my house in Phoenix without coming to Arizona. Great job. We Buy Houses in Arizona is always trying to find win-win solutions for Arizona home sellers! Thanks for working with us! We Buy Houses In Arizona is a real estate solutions company based out of Phoenix. We’re a family owned business and focus on helping homeowners like you find solutions for your problem whether you’re going through a foreclosure, can’t sell your property, or just need to sell your house for all kinds of reasons. If you have any questions about how we work, the process of selling a house with us, help you avoid foreclosure, or just want to learn more about us… don’t hesitate to contact us anytime! The We Buy Houses In Arizona office is located in the center of the Metroplex at 3104 E Camelback Road Suite #2112 Phoenix, AZ 85016. Feel free to call anytime at 602-900-9327.